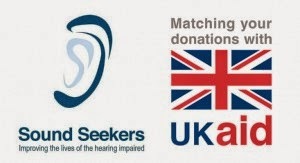 One of the things that has been keeping me busy recently (hence the lack of blog posts - apologies) is working as a Trustee for a small deafness charity called Sound Seekers. We are currently running a campaign* to support, build, equip and staff a comprehensive audiology service in Malawi. 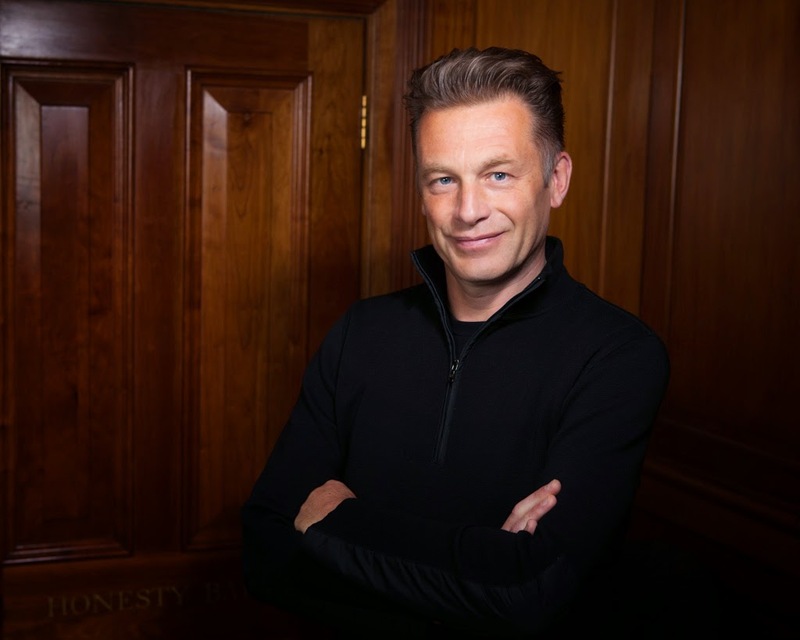 BBC's Chris Packham** is supporting the campaign and I was given the opportunity to catch up with him to discuss all things food-related. Click here to read more about the Malawi campaign or here to watch a brand new short film featuring Sam Evans from Big Brother. * Until January 20th all donations made will be matched by the UK government. Yay! **For non-British readers, Chris is a much-loved English naturalist, nature photographer, television presenter and author, best known for his television work including the BBC’s The Really Wild Show and Springwatch. Sometimes food can just be fuel especially when I’m working. I always say sleep when you are dead and eat just before. I like going out for nice meals but to me that’s similar to reading a good book or going to the cinema to see a film – it’s a selective choice to enjoy that meal. The nature of my work is that if we stop for breakfast we can’t get our job done; we are up at 5 am and quite often we don’t even have lunch. The result is that my colleagues quite often eat rubbish. I would rather just not eat. You suffer from Meniere’s disease (a rare disorder that can cause vertigo, tinnitus, hearing loss, and a feeling of pressure deep inside the ear) have you changed your diet following diagnosis? One of the first things the doctor’s told me was to give up caffeine. I never drank coffee anyway but I did stop drinking tea. I also avoid drinking too much alcohol. You don’t eat meat or bread is this as a result of the condition? No it’s a choice. I don’t eat meat, bread, crisps, soft drinks – lots of things. It is difficult when I am travelling. For example I’ve just come back from Australia where we stayed on a cattle station in the middle of the outback and they served huge steaks. The people were fabulous hosts – they thought I was barking mad -but they had bought some fish for me to eat. Not eating bread is difficult – as a society it feels like we live on a diet of sandwiches and lunch always seems to consist of a sandwich, a bag of crisps and a soft drink which rules me out. But when I’m working it’s not about the food it’s about maximising the job. If I’m going out for a nice meal then that’s different it’s pleasure with a purpose but in a professional context if there is nothing for me to eat then that’s fine – I’ll eat later. When sharing food with people you meet on your travels are you touched by their generosity? It’s a sharing process and I do eat what they give me. I stayed in a remote village with the Maasai once and because we were guests they gave us a mug of cow blood to drink every morning. Only the very elderly, pregnant women and honoured guests are given this blood to drink and so it would have been abjectly rude for me to refuse on the grounds of vegetarianism. The cattle are very valuable to them and they can’t kill them. So to obtain protein they harvest the blood by using a small bow and arrow to shoot into a vein in the neck and then hold a gourd to the wound to collect the blood. For the rest of the day a small child stays with the cow to keep the flies away so it heals properly. They use a stick to beat the blood. When they remove the stick it has a wodge of congealed blood on it like a thick, red jelly which is given to the pregnant women. The blood that remains in the gourd remains fluid and is given to the elderly. Another time, in Indonesia, I was given dried freshwater eels to eat. They had the texture of bacon rind dripped in diesel and that was all I had to eat for ten days! When returning home from working away what is your comfort food? I crave Indian food especially tandoori king prawn masala. I don’t like it extremely hot but I do have a physiological need for curry. I read that you don’t “do dinner parties”. Do you ever cook for other people? I cooked Christmas dinner last year. My stepdaughter is vegetarian, my partner eats meat and I eat fish so normally we have three separate dishes so I decided that I would do a real Christmas dinner. But apparently my potatoes were undercooked and I’ve been told I’m not allowed to cook it again. They tasted alright to me so I don’t know what all the fuss was about. If the meal is a treat then I do like pan-seared scallops. But I don’t like an overabundance of anything like that so if it were food to be eaten everyday then I would choose small new boiled potatoes. I like the texture of potatoes. I know that’s really boring!